Offering a smooth, sleek appearance and high-quality build, the Rokai rowing machine not only looks great but delivers a performance to match. 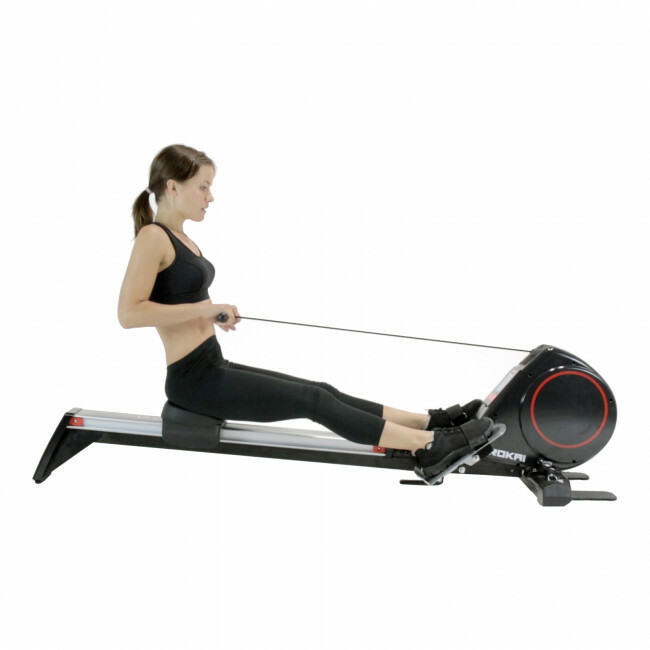 Benefiting from a 6kg (13.2lbs) flywheel and 16 challenging levels of near-silent, friction-free magnetic resistance this excellent rower delivers an effective, comfortable and enjoyable workout allowing you to target glutes, hamstrings and calves for a more toned lower body. 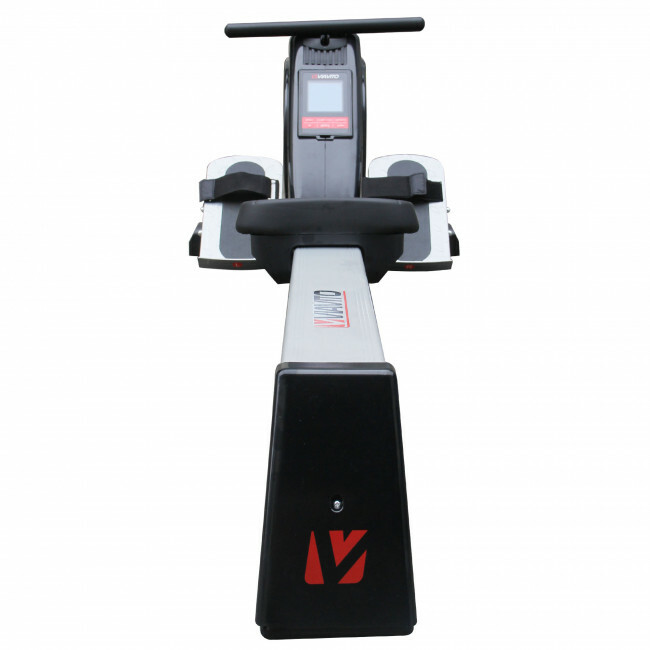 Furthermore, with 16 programmes including manual, user-defined, 12 preset, H.R.C, and a recovery test to keep you inspired the Rokai is not short on variety, guaranteeing that your workout sessions remain interesting and efficient allowing you to build bigger biceps and triceps, as well as focus down all chest muscle parts, plus develop large shoulders and traps. 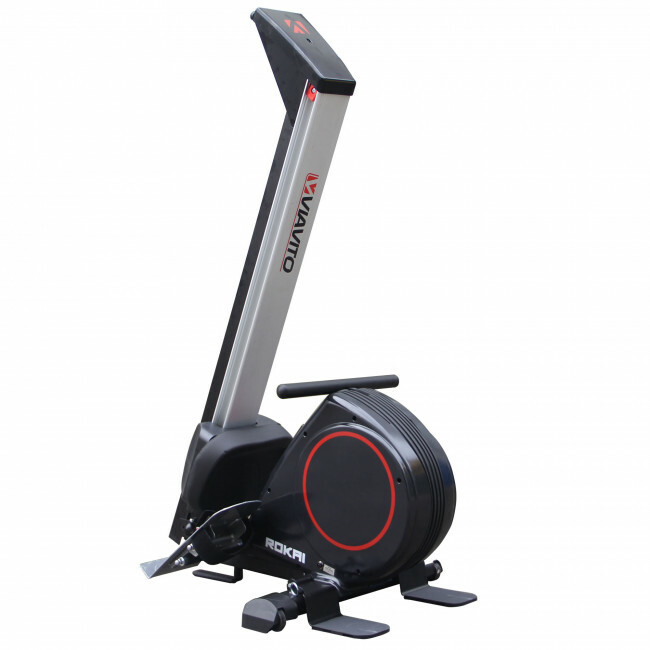 The preset programmes are scalable so you can stick with your favourite workout and remain challenged no matter how much your fitness levels expand. 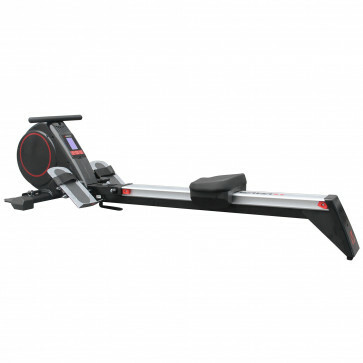 This great piece of kit also has the option of interval training and a race mode that lets you race against the computer to keep you entertained and drive you to push yourself harder to swiftly achieve those chiseled abs and obliques. 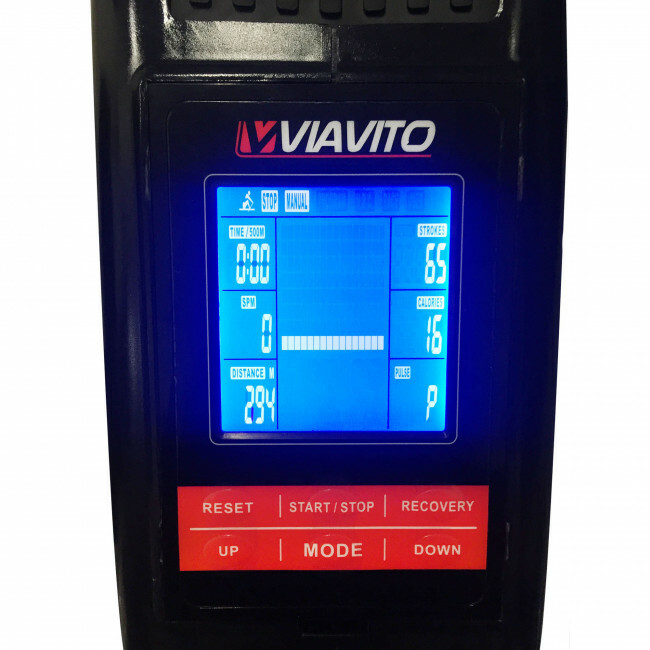 Training data including time, distance, calories, total strokes, strokes per minute and pulse is displayed on the back-lit LCD screen in real-time so you can track your progress throughout your training session. 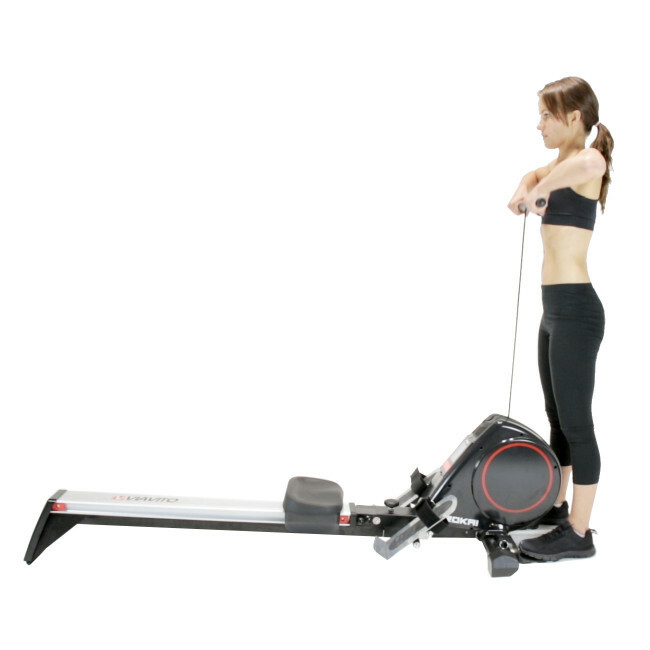 Large pivoting footplates and a biomechanically correct initial position combine to ensure an efficient and effective lower, middle and upper back workout while helping to reduce the chance of injury. 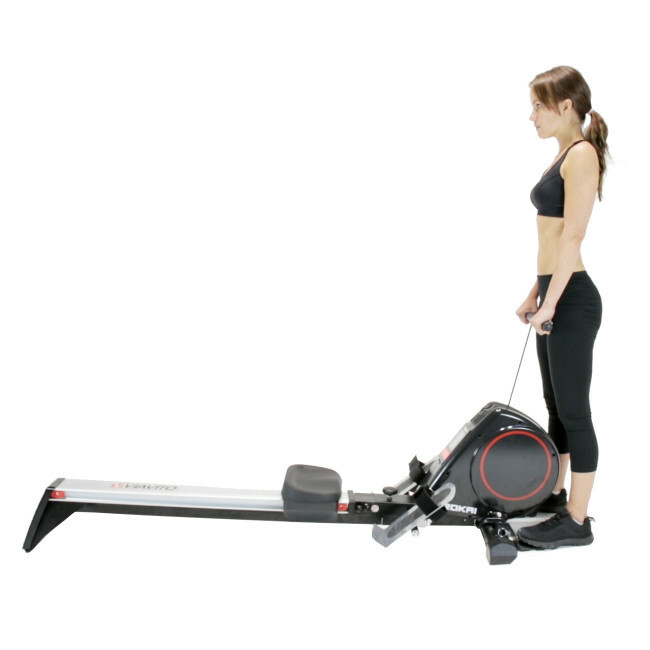 The Rokai is also easy to fold up and can be wheeled away to store it conveniently between uses, making it a highly practical choice for all homes. 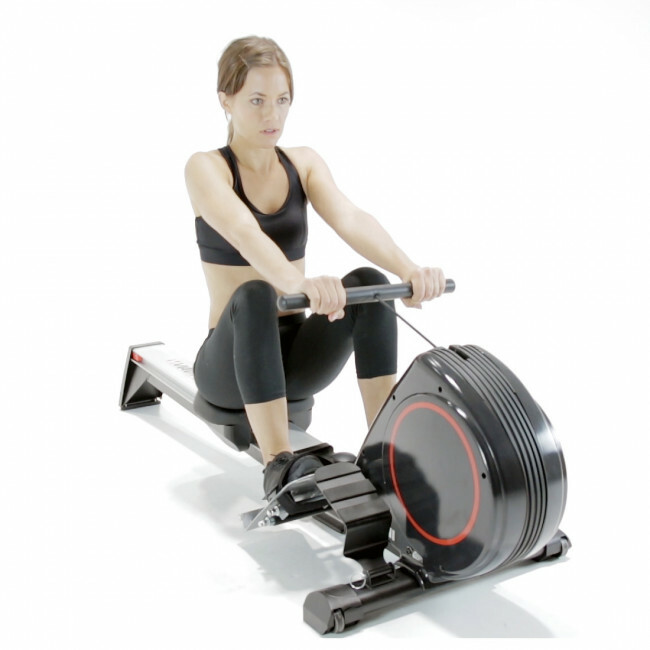 The Rokai is also covered by our 2 year parts and labour warranty for total peace of mind.